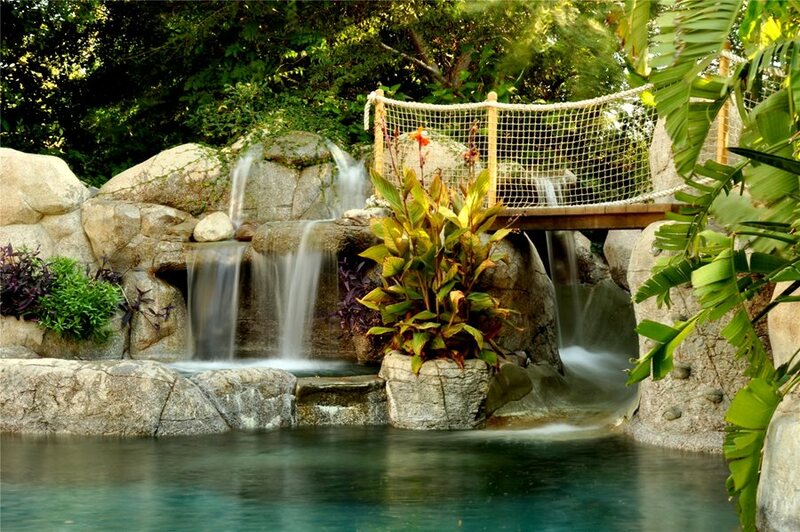 A waterfall adds to the tropical theme of this pool. The Green Scene in Northridge, CA. A beach entry makes this pool seem more like a natural body of water. Landscaping Network in Calimesa, CA. 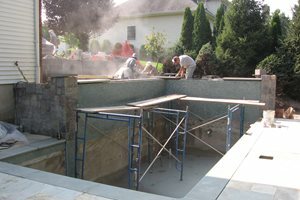 Creating your dream pool means getting the details right. The days are gone where a simple diving board at the end of the pool was considered cool. Now you can add built-in seating, custom waterslides, fancy waterfalls, jumping rocks and more. 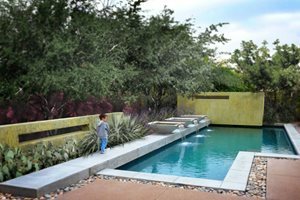 Think about how you will use your pool before selecting designer features. For example, a baja shelf is great if you do a lot of tanning or have small children. Additionally, you may opt for a swim-up bar if you entertain frequently. A pool can also be a place for a little friendly competition. Volleyball nets and basketball hoops can provide hours of fun in the water for kids and adults alike. 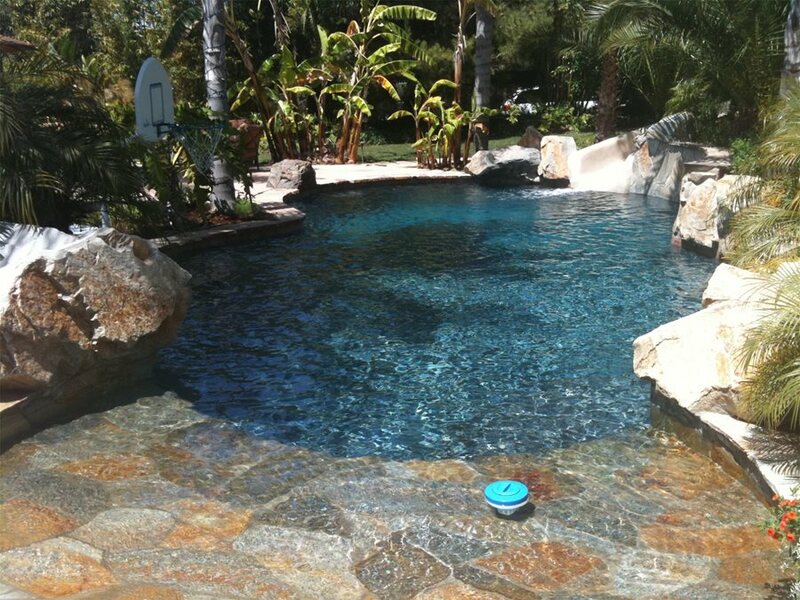 Your designer or contractor will be able to help you decide which features to incorporate into your pool design. Built-ins make your pool more than just a place to swim, they transform it into the ultimate summer hang out. If you are looking to recreate the atmosphere of a resort in your backyard than pool built-ins are for you. Try installing an in-water table and stools shaded by an umbrella. Or opt for a luxurious beach entry that will make you think you are stepping out into the ocean. 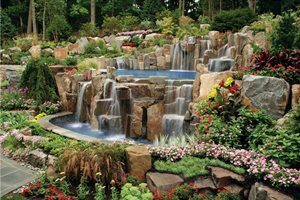 Water features turn your pool into a giant fountain. 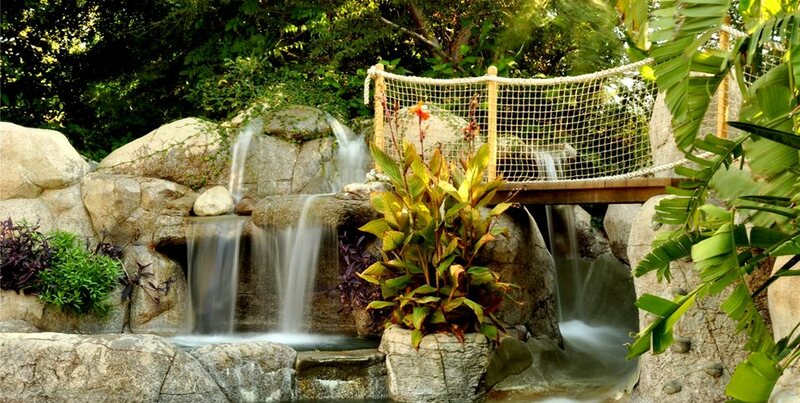 The sound of flowing water will add an element of relaxation to the area around your pool and mask any unwanted noises. You can have a spa spillover, waterfall or jets that shoot water into the air. Consider accenting the water feature with lighting so that it becomes a focal point at night. An outdoor shower can be both practical and luxurious. The perfect complement to a pool, an open-air shower provides a place to rinse off before or after a swim. You can take it one step further and make the shower private so that it can actually be used for outdoor bathing.